We are so grateful to have Chely’s powerful collection, in translation by Margaret Randall, as part of our catalog. 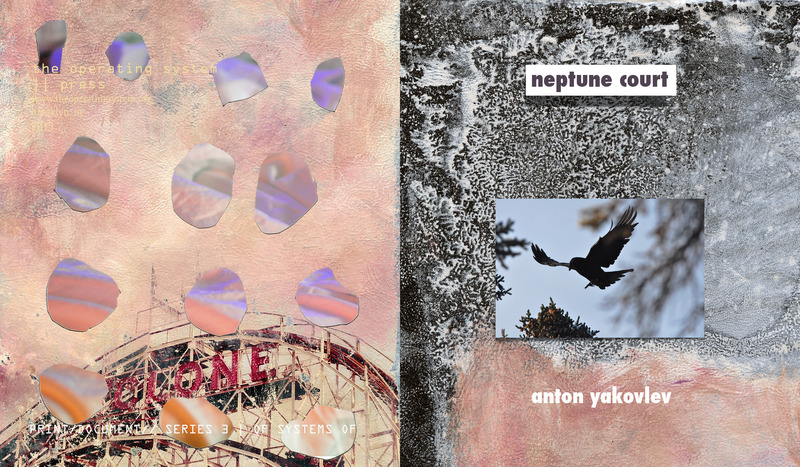 “These are poems of astonishing courage and compelling craft. Their language sizzles on the page. The poet’s familiarity with history and his penchant for plumbing its most significant myths imbue these texts with a special richness. The myths come from the Greeks, Hindus, Germanic fairy tales, those drum beats brought to the New World by Africans during the ravages of the Middle Passage, and stories from indigenous America. Chely also creates some myths of his own. 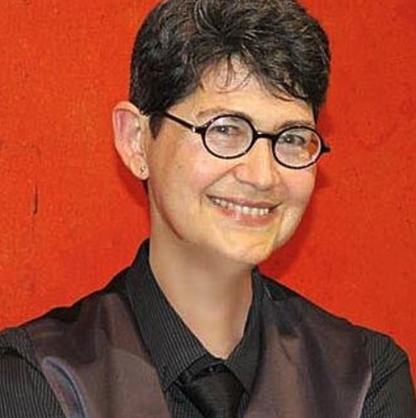 “These poems are also gender-transgressive, revealing a personal journey as painful as it has been liberating. And it is a complicated journey. We cannot say the poet is only a man or that he was once a woman; such binary notions are themselves being challenged here. Body parts and the uses to which they are assigned in our inadequate society are routed from their comfort zones, made to look at themselves in a succession of mirrors and confronted head on. Chely refuses to play by society’s hypocritical rules—in his life or work. Please consider these interview questions, approaching The OS’s key concerns of personal and professional practice/process analysis combined with questions of social and cultural responsibility, as an Open Source document — questions to ask yourselves or others about process and the role of poetry today. -I once wrote that I´m a wandering entity of undetermined age, multiple personality and flowing gender. Well, I still am. -Actually, I don´t know what poetry is, but it’s in my head like a permanent buzz, and I write to get rid of it. When did you decide you were a poet (and/or: do you feel comfortable calling yourself a poet, and also, what other titles or affiliations would you prefer/feel would be more accurate)? -I used to tell myself I was a writer. Now I’m not so sure anymore. Maybe it’s because I’m not so sure of what it means to be a writer… Is he just a storyteller? An interpreter of the anguish of his times? A chronicler? A nutty man who translates the voice of the eternal archetypes? -Maybe poet is just a channel for some kind of music that comes from the cosmos? Maybe he just makes statements from the tiny sound of bio photons emitted by his body’s DNA … Who knows! -Today and at all times, a poet must shout for those who don´t know how to express their truth. A poet can be a very effective mirror, reflecting the lights and shadows of the world he inhabits. But he should also caress the wounds of others with his tongue and sing the songs coming from the mystery, a mystery which is almost everything, because we know almost nothing, because we are part of a very primitive species, very proud and very ignorant at the same time. Talk about the process or instinct to place these poems (or your work in general) as independent entities into a body of work. How and why did this happen? Have you had this intention for a while? What encouraged and/or confounded this (or a book, in general) to come together? Was it a struggle? -The poems have been appearing at various stages of life, and I have limited myself to punctuating them here and there, and to bring them together in more or less coherent groups. There´s nothing preconceived or organized in all of this. What formal structures or other constrictive practices (if any) do you use in the creation of your work? Have certain teachers or instructive environments, or readings/writings of other creative people (poets or others) inspired the way you work/write? Did you use one specifically in the production of this book or in the work within this book? Did you envision this collection as a collection or did understand your process as writing specifically around a theme while the poems themselves were being written? How or how did it not? -It was a spontaneous process. I usually plan my novels and storybooks, but I´m unable to plan a collection of poems. Speaking of monikers, what does your title represent? How did it come about? Talk about the way you titled the book, and how your process of naming (poems, sections, etc) influences you and/or colors your work specifically. -I find it hard to find a good title. I envy those who find beautiful titles out of nowhere, like some skilled fishermen. I suffer the titles, I insult them, I rebuild then all the time. But in this particular case, the title that gives name to these poems came spontaneously as a beginning of a verse, in a poem that has much to do with one of the recurring themes of the book, which is my transgender status. In this case, you recommended me to use What the Werewolf Told Them as the title of the collection, and I thought it was very appropriate. …as indicative of your mission/intentions/hopes/plans? -The second one, I think. If we took these poems in a chronological way (which the book doesn’t do), a story would emerge that has to do with my life’s path in the last twenty years. And I just realized (now laughing) that the poems turned out to be a kind of map of my personal crises. Would you like this work to be translated into other languages / do you hope that it reaches beyond our local geographies and communities? What would be the best possible outcome of a broad, expanded reach for this book? Do you think it’s legible across cultural lines? -Anyone who has tried it knows how difficult it is to translate poetry, because doing so often changes the rhythm of the verses, while at the same time they must capture the music of the different ways of speaking, of other language codes, so that the result ends up being a mixture of the poet’s style and the style of his translator. I’m curious how that particular music sounds in other instruments, other languages. But I would also like to tell people (people I will never know) that I have felt their anguish and their desolation, their ecstasy and their insecurities, because that is a way of sharing oneself among others. How do you (and do you) feel that poets and other creative people should consider their role in creating and preserving archives and a (hi)story of their work and the context in which it was created? Do you, as a scholar and/or as a person take an active role in documenting/recording not only the product of your creative practice (or that of others) but also the social, cultural, and other intersectional trappings of your process / life / experience? How or how not, why or why not, etc. -This is a time when it would seem that we can all have access to the creative work of everyone, especially because of the important role the Internet plays, but in reality it´s not. There are mainly labels that guide or repel us. I distrust labels a lot because sometimes they are like walls, and at the same time I realize that we can´t do without tags if we want to reach the readers who need us right now. Actually this is a topic that I find confusing and problematic. And there are many other drawbacks: Just to give an example, I´m a Spanish-speaking writer, who came to this country at an age when I found it impossible to restart my writing career in English, and this fact has limited me with respect to English-speaking publishers and readers. On the other hand, one doesn´t always find the possibility of publishing bilingual books… And then, does that mean that there are lots of readers I will never reach? It´s very disheartening, but I suppose it is also inevitable at this moment, because it´s part of the accelerated evolution of the roads in which we make ourselves known. Is there anything I’ve missed? Please feel free to tell us any more about this book, your process, yourself, or your thoughts about this crazy place and time. – What the Werewolf Told Them is above all a war cry for all we need, and a proud statement of what it´s like to love in different ways, (yet) being so similar to those who aren´t like me; in a time of darkness that has been closing more and more with the passage of days, I want it (hopefully) to shine like a point of light that remembers that no one, absolutely nobody, whatever he may be, is alone. 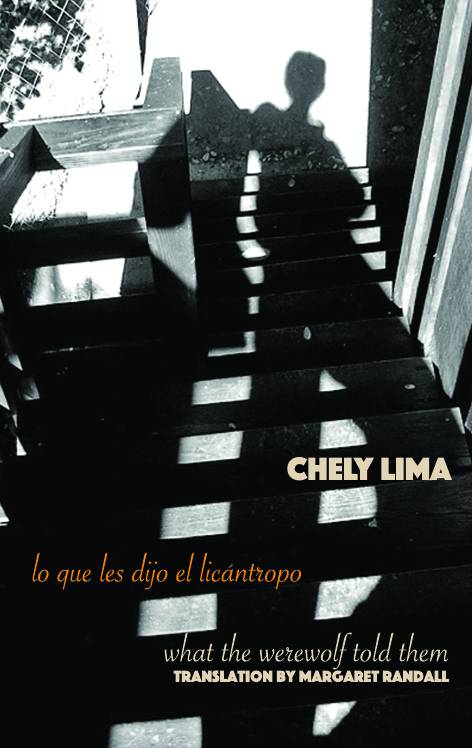 Chely Lima is a queer North American poet of Cuban origin. He writes prose, poetry, theater, journalism, scripts for film, radio and television; and is also a photographer. He has published numerous books in Cuba, Spain, the United States, Mexico, Colombia, Venezuela and Ecuador—among them Lucrecia quiere decir perfidia (Ediciones Bagua, Madrid, 2015), Triángulos mágicos (Editorial Planeta Mexicana, 1994; Eriginal Books, USA, 2014; and Ediciones Territoriales, Cuba, 2015), Discurso de la amante (Imagine Cloud Editions, 2013), and Confesiones nocturnas (Editorial Planeta, 1994), all of these novels. His books have been translated into English, French, German, Italian, Russian, Esperanto and Czechoslovakian. His monologues and works for the theater—for children as well as adults—have been performed in Cuba and Ecuador (he lived in the latter country from 1992 to 2001). A rock opera and a cantata were performed in Cuba’s National Theater in the early 1990s. Lima also also taught classes in a variety of artistic mediums and in several countries. In 2006 he went to California, where he had an internship at the M. H. de Young Museum of San Francisco. Since 2008 he has lived in Miami, Florida, where he has given workshops at Miami Dade Collage and other institutions. He has also written theater reviews for El Nuevo Herald. Currently he is entirely dedicated to his own writing, and occasionally works with beginning authors.